Horizon’s Tale consists of husband and wife team, Zoë Mazula (vocals); Vusa Mazula (guitar/vocals. The couple is joined by Gary King (keyboards /BV’s) when required and can also play with a full band. 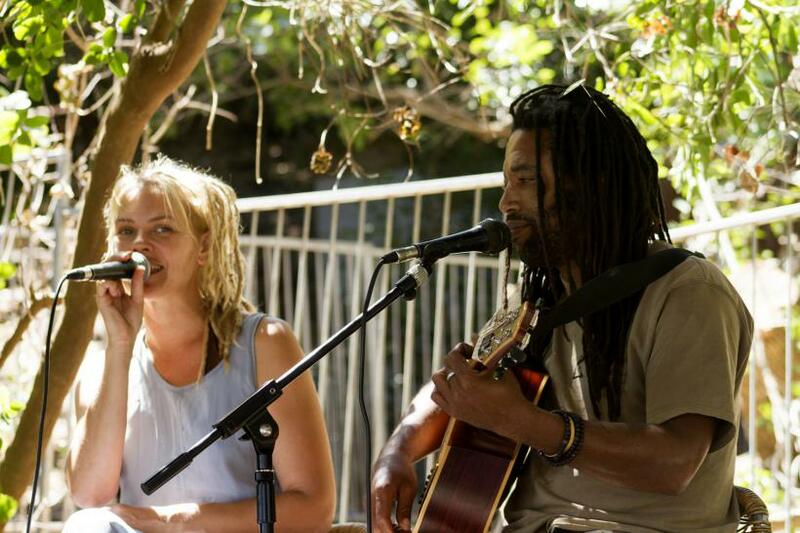 They come from various musical backgrounds with Vusa and Zoë also having been the owners and founders of the well loved live music venue Zula Sound Bar. The music is a collection of both originals and covers performed in a uniquely infectious way with beautiful electricity. The songs they play range from their own creations to artistes including Fairground Attraction; Macy Gray; Miriam Makeba; Seal and many more. Their collection of songs can be played over an hour or two hour sets and takes you on a journey from calm and reflective to upbeat, leaving all audiences on a high. They also play a wide variety of music that has cross the board appeal for everyone. The band is made up of seasoned players and lovers of music. Gigs the band have played include: The State Of Nations address 2015; Café Roux; the Cape Farmhouse; The one and Only Hotel; The Durban July; Cape-Cuba(Kalk bay); Zula sound bar; Monkey valley Resort; the Fishermans Arms, Steenberg wine estate, as well as various weddings and a variety of gigs all over the country.